This post has already been read 2009 times! KEARNEY – Madie Weatherly loves helping others as much as she enjoys meeting new people. 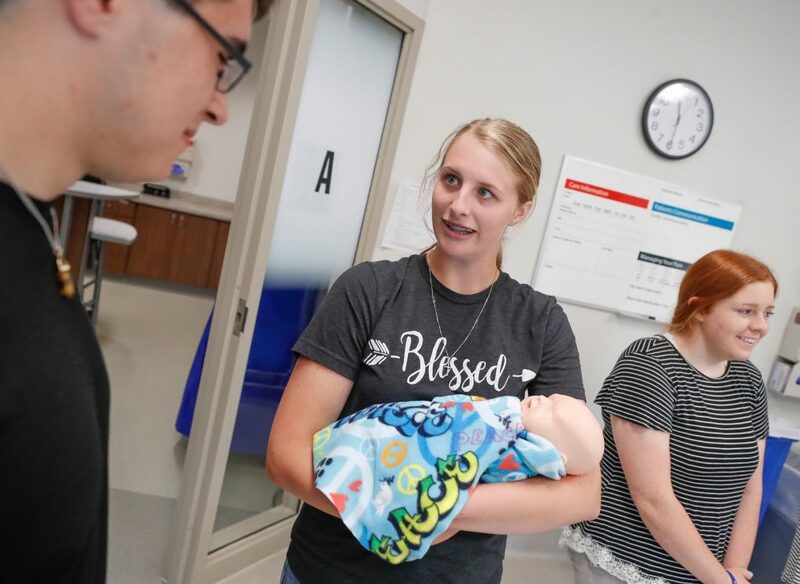 That’s why the Cozad High School student is looking at a career in health care. She just hasn’t decided which area to focus on yet. 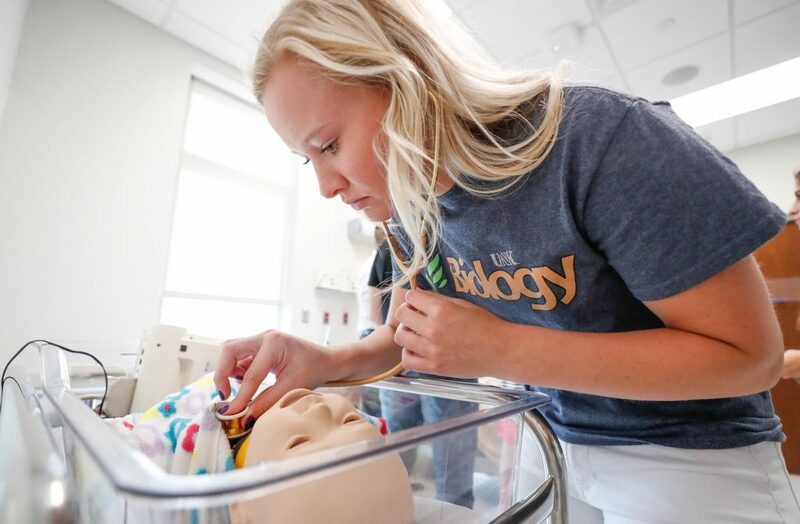 “It took me by surprise how many different options there are in the health care field,” Weatherly said Monday while attending a Health Sciences Academy at the University of Nebraska at Kearney. 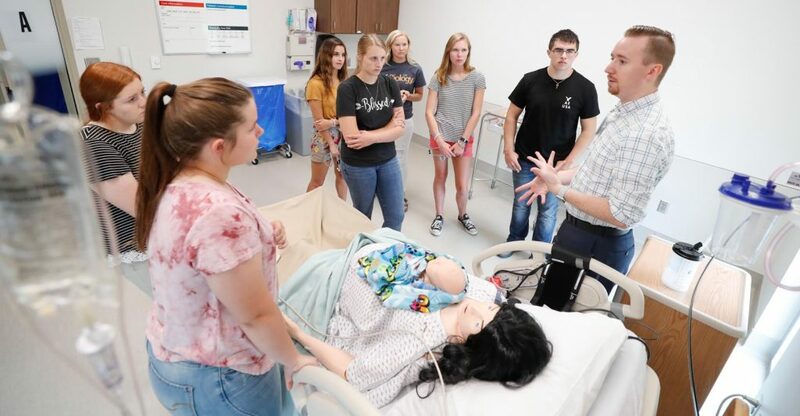 The event, a collaboration between UNK, Central Nebraska Area Health Education Center and University of Nebraska Medical Center, gives high school seniors a chance to explore a variety of health care careers while earning college credits. 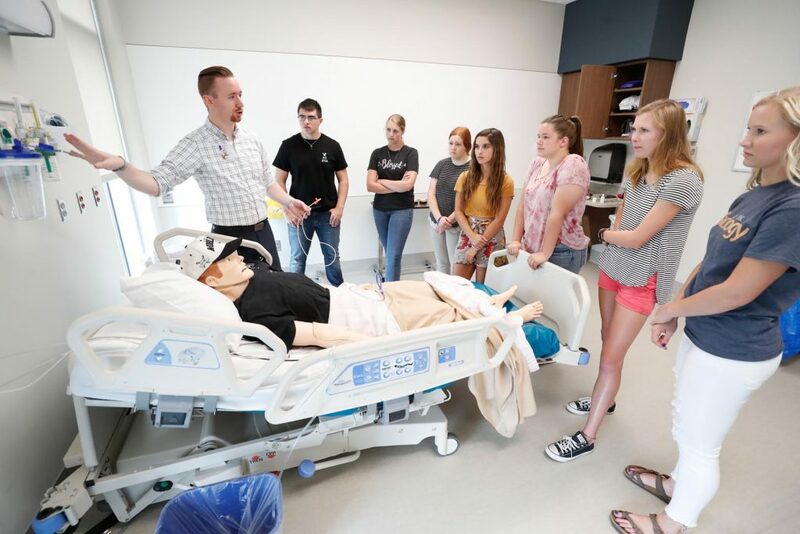 The five-week summer program includes tours of New West Sports Medicine and Orthopaedic Surgery, Kearney Regional Medical Center and the UNK athletic training facility. 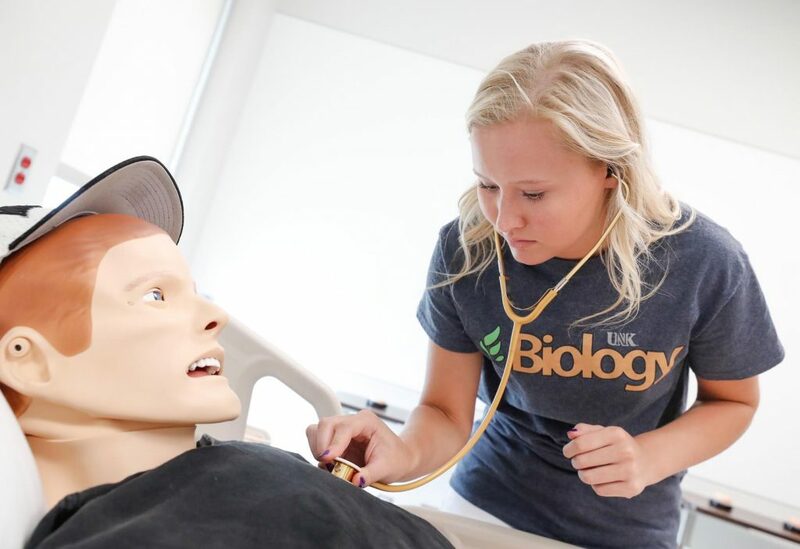 Other areas, such as medical lab science, nursing and radiography, are highlighted at the Health Science Education Complex shared by UNK and UNMC. 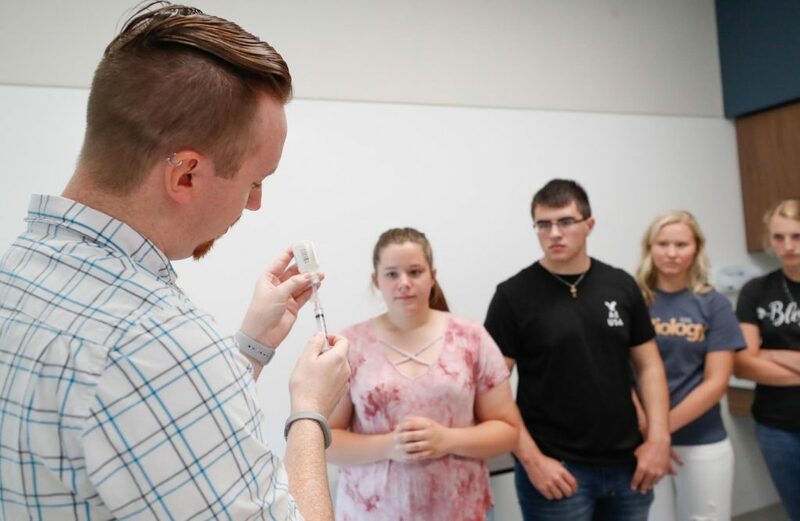 Academy participants take two classes – biology and opportunities in health science – while interacting with health care professionals, completing hands-on activities and learning about the educational requirements for each field of study. 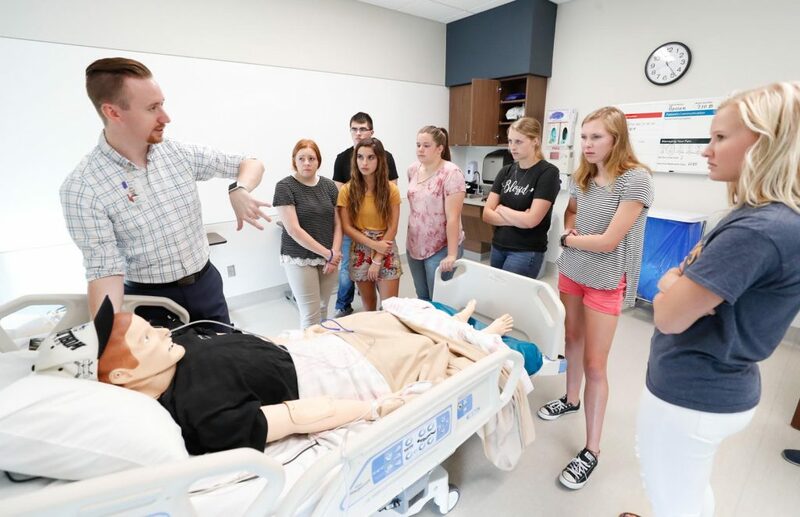 “It allows students to figure out what part of health care they enjoy the most,” said Brandon Drozd, program coordinator for the Central Nebraska Area Health Education Center, which is located on the UNK campus. 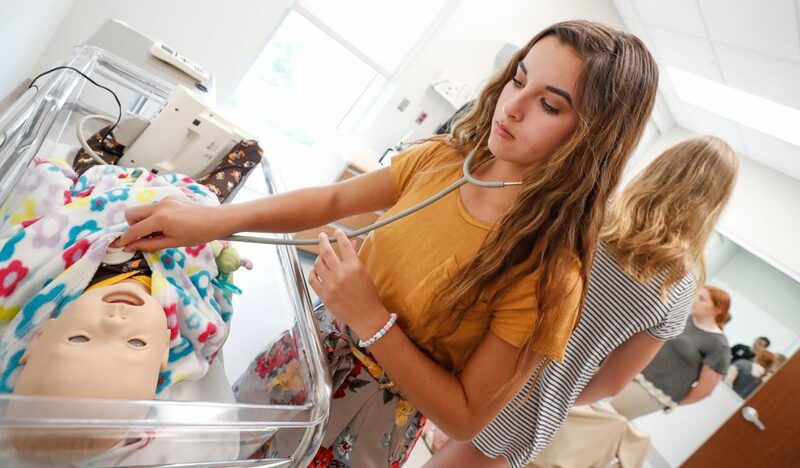 On Monday, the high schoolers were getting a feel for nursing inside the hospital simulation suite at the Health Science Education Complex. 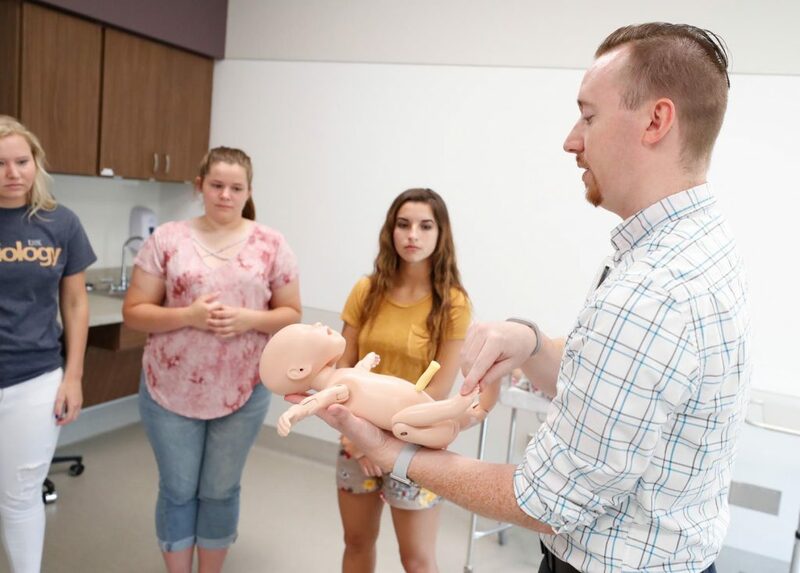 Douglass Haas, a doctoral student and UNMC College of Nursing faculty member, walked students through procedures such as administering shots, CPR and inserting a nasogastric tube using a training mannequin. They also performed physical assessments on each other. 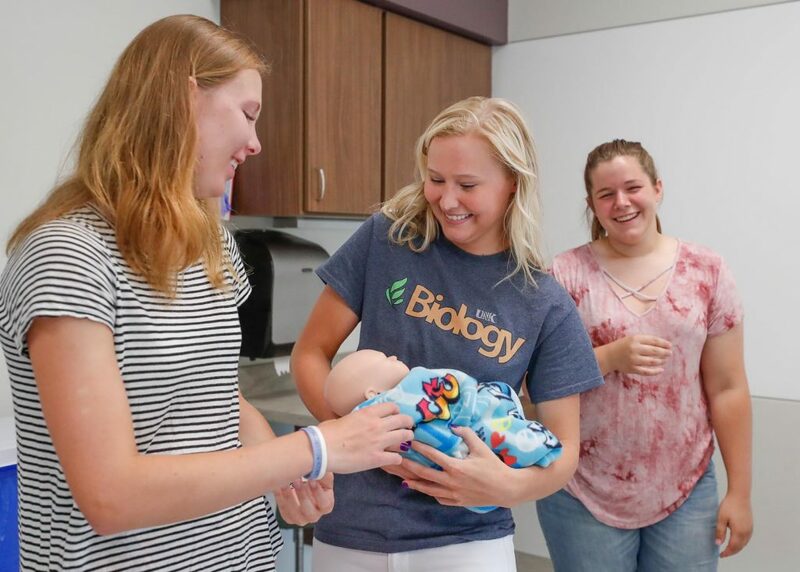 Haas, who teaches on the UNK campus, said this type of hands-on learning gives students a better understanding of what nurses do every day. “It makes it more real, it makes it more attainable,” he said. Each participant is also required to spend a few hours job shadowing this summer. Weatherly is checking out Cozad Community Physical Therapy back in her hometown. She developed an interest in physical therapy while undergoing it herself following wrist surgeries. “I’ve been getting to do hands-on stuff with patients to see what the job is like from day to day,” Weatherly said. 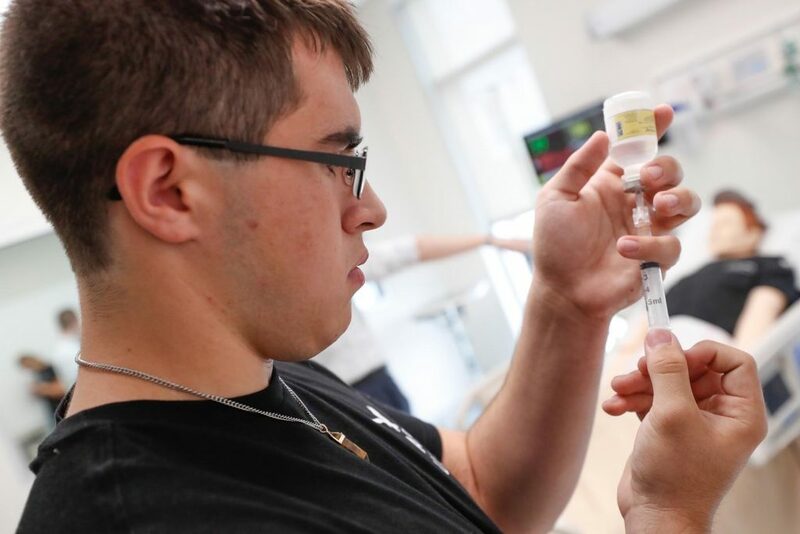 The Health Sciences Academy, which continues through July 6, also provides information on the Kearney Health Opportunities Program (KHOP) and other health care-related scholarships, as well as the programs available through UNK and UNMC. 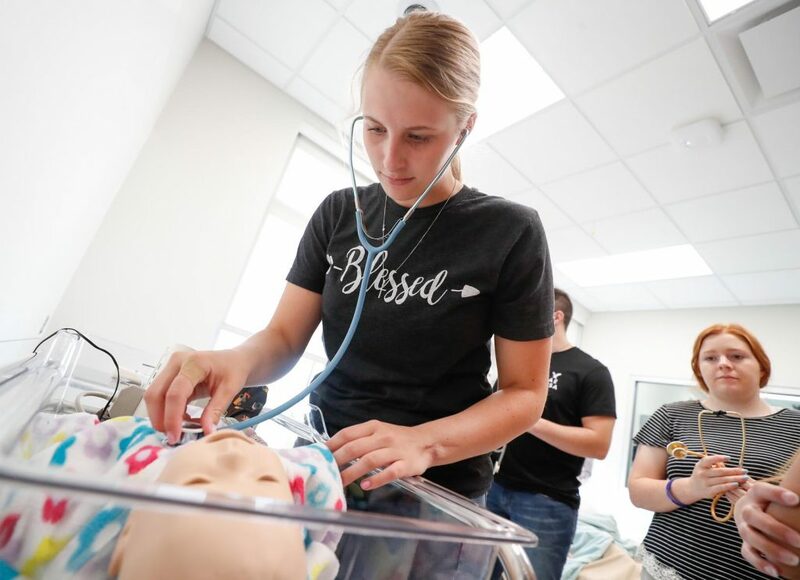 Haas, who went through the two-year pre-nursing program at UNK before transitioning to the UNMC program on campus, witnessed this demand firsthand. 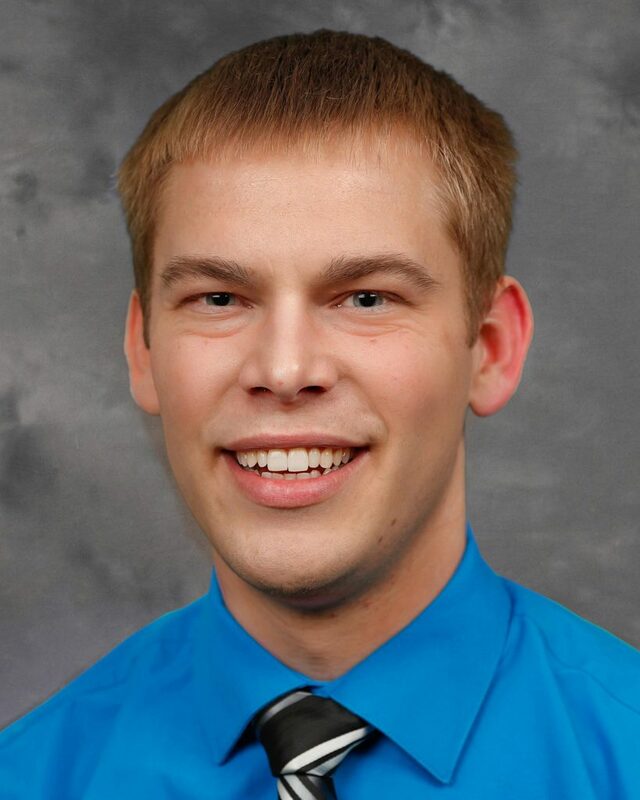 He had four different job offers after earning his bachelor’s degree in 2009 and was hired as a registered nurse at CHI Health Good Samaritan. And, he added, these positions are available pretty much anywhere a graduate wants to go, whether that’s rural Nebraska or a major city. 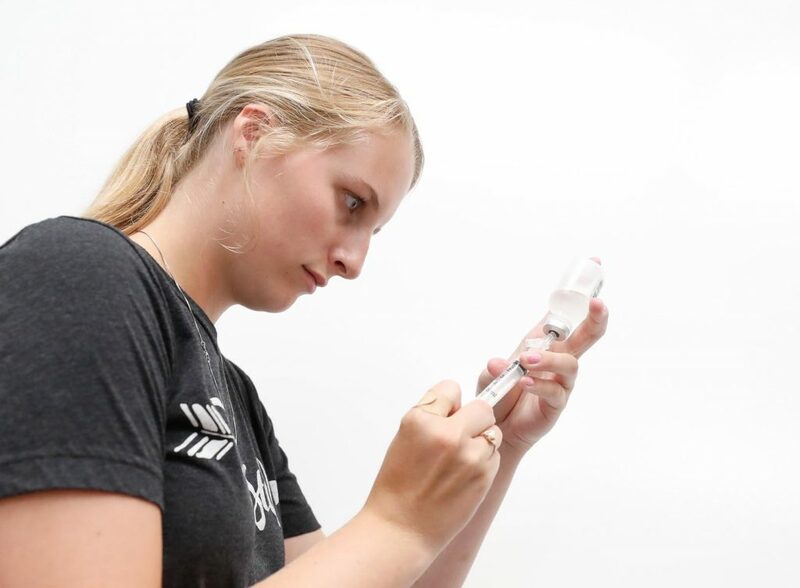 The academy has already given Weatherly a clearer picture of the steps she needs to take to pursue a health care career, perhaps in physical therapy or radiography. “I’m taking more summer classes to get a head start,” she said.